Tickets go on sale on June 28, 2016 for the very funny Amy Schumer for her concert at Madison Square Garden on Tuesday October 18, 2016. Ms. Schumer is one of the most popular comedians around these days. She is only 35 years young. 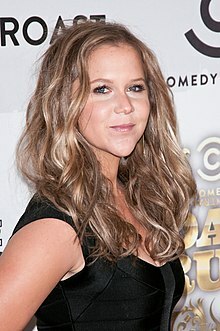 Amy Schumer has a very popular television show called Inside Amy Schumer, now in its 4th year on the Comedy Central channel, and is now getting her chance to play Madison Square Garden and has a memoir out now about her life. She is enjoying a European concert tour now that has her performing in the United Kingdom, Ireland, Sweden, Denmark and Norway then traveling to do a full concert tour all over the United States then Canada and Australia and New Zealand as well. That's allot of travel for sure. Amy Schumer wrote and starred in the incredibly funny film Trainwreck a few years ago. If you haven't seen it yet, do yourself a favor and consider doing so. You'll laugh till you cry. She has been nominated for 5 Primetime Emmy Awards, winning one for Outstanding Variety Sketch Series in 2015. With just 1 concert scheduled now for New York's Madison Square Garden, I just wanted to offer my company Applause-Tickets service should you want to consider attending the Amy Schumer concert. My company Applause-Tickets can assist Amy Schumer fans with obtaining tickets to her other concerts outside of New York as well. Cheers and good luck to Amy Schumer on her worldwide concert tour. She's a rising star in the world of comedy.